Formed on the back of community determination to reduce single-use plastics in response to national and global campaigns, Bollington is now one of over 250 transition towns across the UK that is looking to strengthen its resilience against major environmental and social issues by embracing the transition ethos of sustainability and resilience. Current projects include edible planting (community gardens) and action on plastics, although the group also work closely with the town council who are keen to embrace the social, environmental & economic benefits of sustainability. Inspired by Incredible Edible schemes in towns such as Todmorden and Totnes, Transition Bollington are looking to plant up otherwise non-productive areas across the town with edibles – fruiting trees/shrubs, herbs, vegetables etc – that provide free food for the community whilst enabling children to learn where food comes from and the importance of pollinators in the food chain, and creating an additional benefit of bee-friendly corridors. Everyone is encouraged to help maintain and water the community garden plots, and in return they are welcome to take a little of the produce. The group are currently working on a plot at the Town Hall to be ‘festival ready’ by May 2019. Volunteers and plant donations are welcome for this and other planting initiatives. Heightened TV coverage of the plastics issue, particularly via David Attenborough’s Blue Planet series and features by the likes of Sky News have brought about major shift in social attitude regarding the use of plastic. Sky’s Ocean Rescue project launched in January 2017 and they have provided regular stories illustrating the appalling results of plastic getting into the sea. 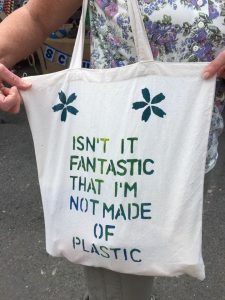 Following a community meeting in January 2018, a small group got together to start to raise awareness of the plastics issue across Bollington and encourage the transition to more sustainable alternatives. Some early achievements are listed below. The best place to find out what is going on is our Facebook page . #LocalFood – we are creating Community Plots for fruit, veg, herbs – growing spaces in Bollington for neighbourhoods to create a free source of food. Apple trees, nut trees, vegetables, herbs – is there an available space near you that could accommodate edible planting? Our festival plot at the Town Hall is being overwintered with ‘green manure’ – the seedlings now forming a green carpet will enrich the soil and prepare the planting bed for a permaculture scheme. Please get in touch if you would like to help with planting or if you are wondering where to start with a scheme in your neighbourhood. #LocalSolutions to Global Issues – we’re helping local businesses to get on the Refill map, if you have more ideas about reducing & taking out single-use plastic why not join our Facebook group and share! We also look at #LocalDemocracy and support the objection to the Cheshire East Council proposal for development on Green Belt on the grounds that it does not represent a sustainable, community-beneficial or environmentally-friendly solution for Bollington. Along with other UK transition groups we’ve also objected to the proposed change to national planning law that will allow exploratory deep-borehole drilling to go ahead across the UK as ‘Permitted Development’ ie without the need for planning permission – the UK can’t meet its climate targets by dropping renewables for Shale Gas, but most importantly this proposal represents a dangerous precedent threatening the principle and existence of local democracy. #LocalEducation – primary school children have been encouraged by Bollington Town Council to think about #transition as they work on shaping the sustainable Bollington of their future. Transition Bollington have been closely involved with the Schools’ Council of Councils at the Town Hall and is looking forward to seeing the children’s ideas implemented in the community. 20 May 2019 – the feature film “Tomorrow” screening at Bollington Arts Centre, a stunning cameo of communities across the globe that are transitioning to a sustainable future of their own design. 23 May 2019 – artist and speaker Deborah Maw talks about marine plastic, and her role and experiences on and off board the all-female research initiative, Exxpedition which is gathering global data on seaborne plastics. Many retailers have now implemented changes to swap out single-use plastic items such as bags, straws, and cutlery. For example, J.J.J. 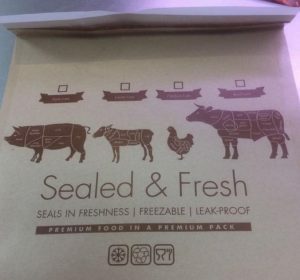 Heathcote have replaced plastic meat wrap with beautiful waxed paper bags at both of their Bollington shops! Well done Jeremy and Chris! Anne Belfield is also working hard to find suitable replacements for her plastic items, and is now stocking milk in glass bottles. Belfield’s is the first Bollington business to be pinned to the #Refill map. Anne has introduced a discount for customers bringing their own reuseable cups when purchasing a takeaway cuppa – do visit to see how she is progressing! The Waterside Cafe, Nancy’s, Belfields, Bridgend Centre and The Green Cafe are on the Refill map, a free app from City to Sea that shows outlets where refillable water bottles can be topped up with tapwater for free – particularly useful for walkers and cyclists. The Bollington group meet monthly and we also send out a newsletter to email subscribers. The best place to find out what is going on including meeting dates is our Facebook page . We are also on Instagram, and the new website is under construction. 💚 #TransitionBollington owning our collective environmental direction! Resilient, sustainable communities creating their own future they way they want it – local energy, local food, local waste reduction and community owned initiatives. This page will be added to as we get more material.